Jack Hughes, the projected No. 1 pick in the 2019 NHL Draft in Vancouver on June 21-22, is writing a monthly diary this season for NHL.com leading up to the draft. The 17-year-old forward, who is the brother of Vancouver Canucks defenseman prospect Quinn Hughes, the No. 7 pick in the 2018 NHL Draft, is a center playing for USA Hockey's National Team Development Program Under-18 team. He led the NTDP with 86 points (23 goals, 63 assists) in 41 games. 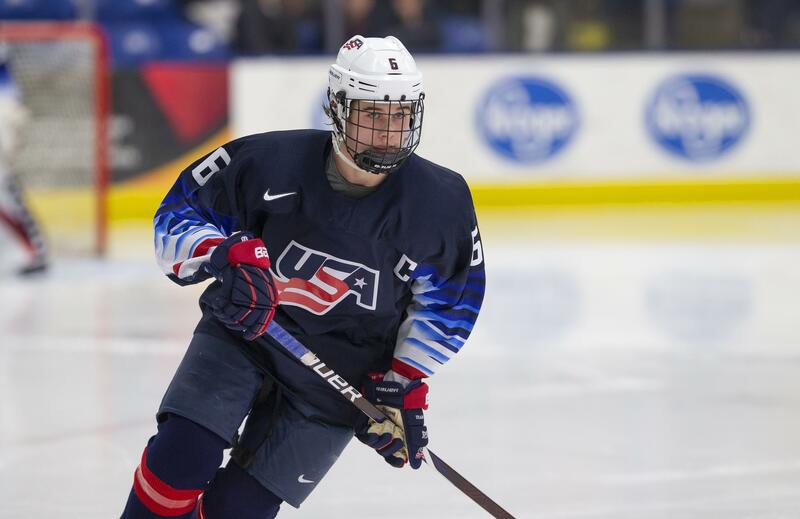 In his latest entry, Hughes talks about being on hand for the NHL Draft Lottery, the upcoming IIHF World Under-18 Championship in Sweden (April 18-28) and the NHL debut of his brother. I was fortunate and happy to be a part of the NHL Draft Lottery in Toronto on Tuesday. It was a fun experience; it's the next step to the NHL Draft. After the lottery, I got on a plane and flew to meet my teammates in Finland to prepare for the U-18 World Championship. We'll then fly as a team to Sweden, where the tournament is being held. It's crazy to think we've reached this point in our careers. We've been working two years for this, for the same common goal. We put in so much work to win the U18s at the end of this season and it's finally here. I'm sure we'll be ready to go but it also kind of symbolizes an ending for us as teammates. We're closing our chapter at the NTDP. This is obviously a huge tournament for us and after all the work we've put in together to win this, doing that would be unbelievable. To read the full diary, click here.